With the weather eeking up into the 70s this weekend the City’s newly reopened food and flea markets are sure to be packed. 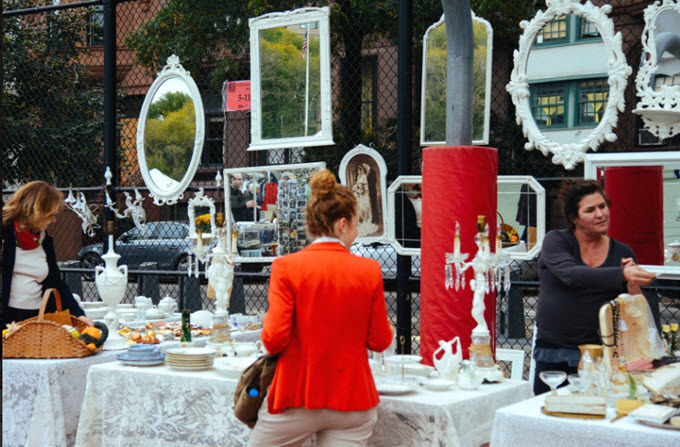 Here is a list of where to find Brooklyn Flea this year as well as other top markets across the boroughs. 1. Brooklyn Flea Saturdays will be hosted at the Williamsburg Hotel at 96 Wythe Ave, Brooklyn. 2. 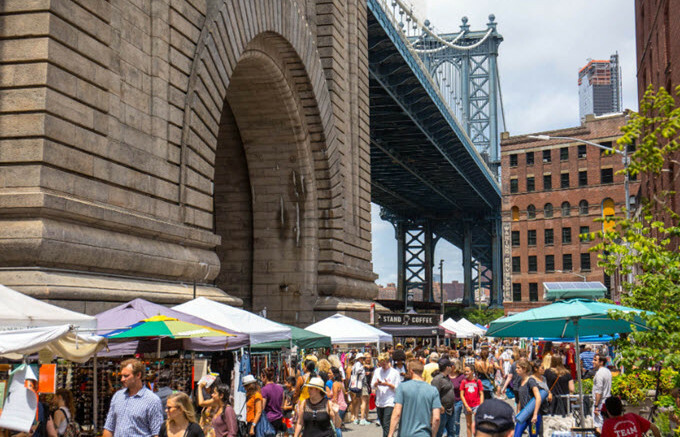 Brooklyn Flea Sundays take place under the Manhattan Bridge Archway at 80 Pearl Street, Brooklyn. 3. Smorgasburg Fridays are a new addition this year and can be found in Manhattan at WTC Oculus Plaza from 11:30am-7:30pm. 4. 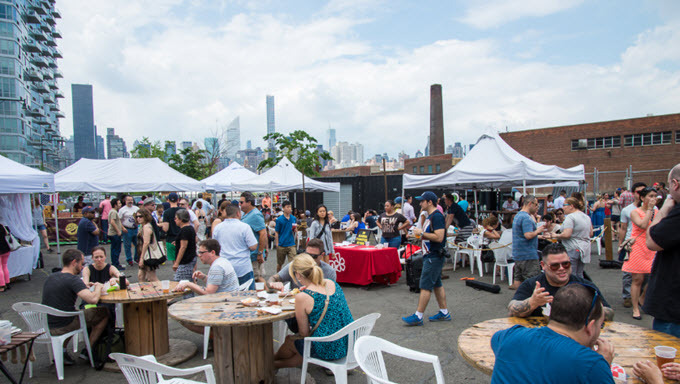 Smorgasburg Saturdays will be at East River State Park, 90 Kent Avenue in Williamsburg. 5. Smorgasburg Sundays take place in Prospect Park, Breeze Hill at Lincoln Road. 6. Smorgasburg x Vice Night Market can be found every other Friday night (this week being an ON Friday) at Williamsburg’s Villain, 307 Kent Ave, beginning at 6pm. 7. Grand Bazaar NYC on the UWS offers everything from antiques to artisans–and this one is open year-round on Sundays at W 77th and Columbus Ave.
8. LIC Flea & Food won’t open ’til May, but you’ll find it on the waterfront a block behind the Pepsi-Cola sign. 9. 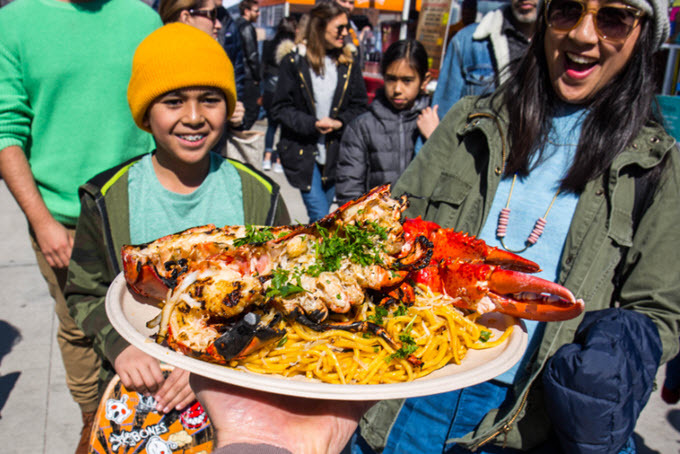 Astoria Flea & Food has not announced its opening dates yet, but the market will be open Saturday evenings from 6pm-midnight and Sundays from noon-6pm. 10. 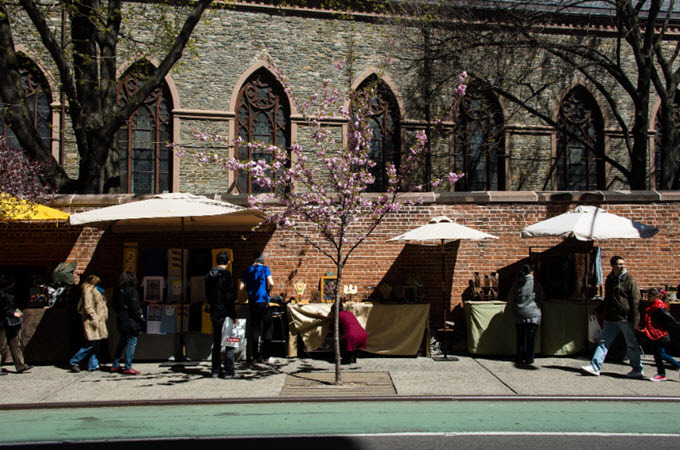 Hester Street Fair in the LES opens May 13 and can be found every Saturday at the corner of Hester and Essex. 11. Chelsea Flea Market, not to be confused with Chelsea Market, takes place year-round at 29 West 25th Street, between Broadway and Sixth Ave.
12. Nolita Outdoor Market opened in March and will be around til December, Friday-Sundays on Prince Street between Mott and Mulberry. 13. 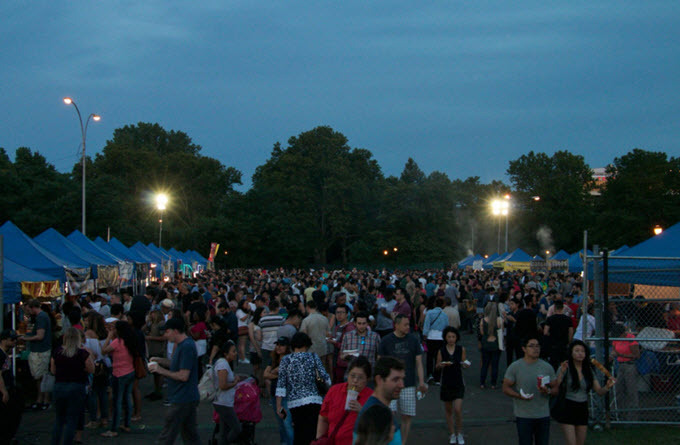 Queens International Night Market can be found at Flushing Meadows Corona Park on Saturday nights between April 20-August 17 and September 28-October 26. Photo: Storm Garner.